The Kershaw County School District (KCSD) provides Special Education services to approximately 1,410 students with disabilities, ages 3 to 21, under the Individuals with Disabilities Improvement Education Act of 2004 (IDEIA) based on our December 2017 Child Count. Our district provides a continuum of Special Education and Related Services to students attending public schools, community based-day cares, as well as private and home schools. The Office of Special Services supports the vision and mission of the KCSD by providing support to school personnel to assist in the education of students with disabilities. Further, the Office of Special Services provides leadership in program planning for students with disabilities in KCSD. This includes supervision of the district’s special education program, related services, psychological services and Section 504 of the Rehabilitation Act of 1973, as amended. The Office of Special Services is here to provide support to families in our community by conducting Child Find activities (community and school-based) and educational evaluations within our schools. We ensure the provision of special education and related services to children with disabilities in our district. Mother of boys with autism says new Milo robot has "taken them out of their shell"
Kershaw County is one of fifteen school districts in South Carolina under the three-year pilot program. Thirty Milo robots were introduced last October as a way to help students with autism develop social skills. He shows more than 10 emotions and can act and dance. This all works in conjunction with scenarios played on a tablet. Hear one mother describe how Milo is making a difference for her autistic sons at Lugoff Elementary School. 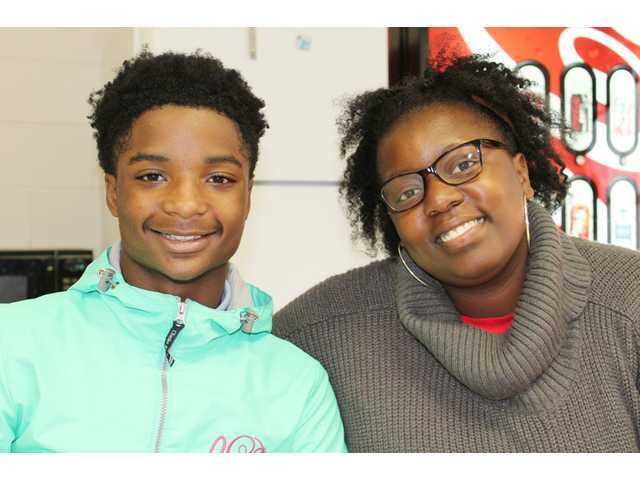 A Camden Middle School (CMS) 8th Grade student is receiving a special national award for being “fearless and kind” in finding ways to unify the school. Anthony Lyles, a member of the CMS basketball and football teams, is one of only 10 students in the entire country to receive the Hasbro Children’s Fund (HCF) 2017 Be Fearless Be Kind Award. The HCF sponsors the award and will give $1,000 to CMS in Anthony’s name to support the school’s Special Olympics Unified Champion School program. Anthony is receiving the award for helping to bring mainstream and special needs students together, in effect teaching his fellow athletes and friends to treat their special needs schoolmates respectfully as equals.